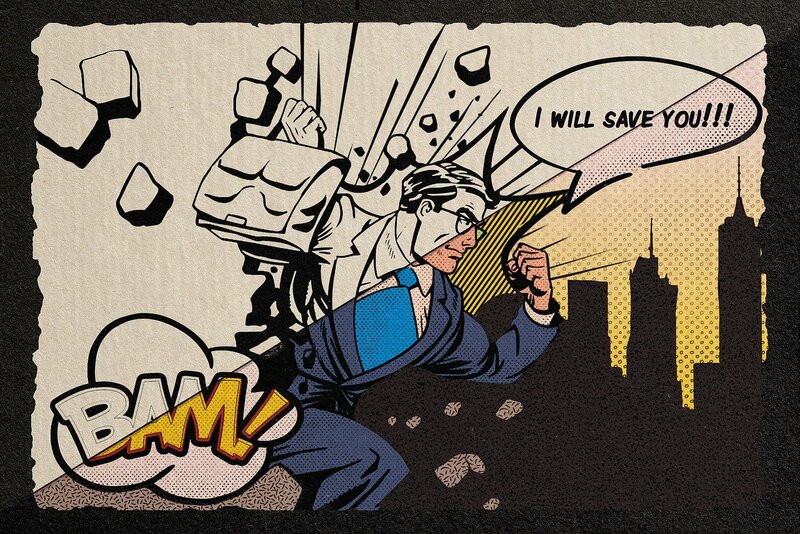 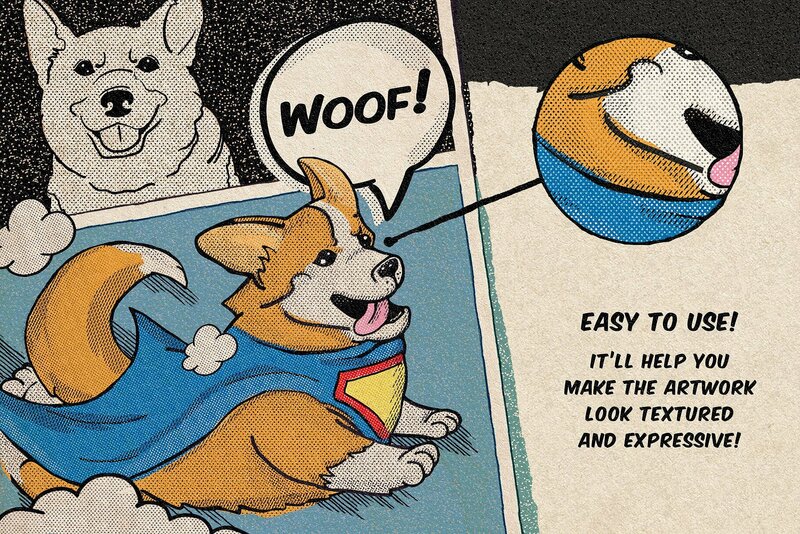 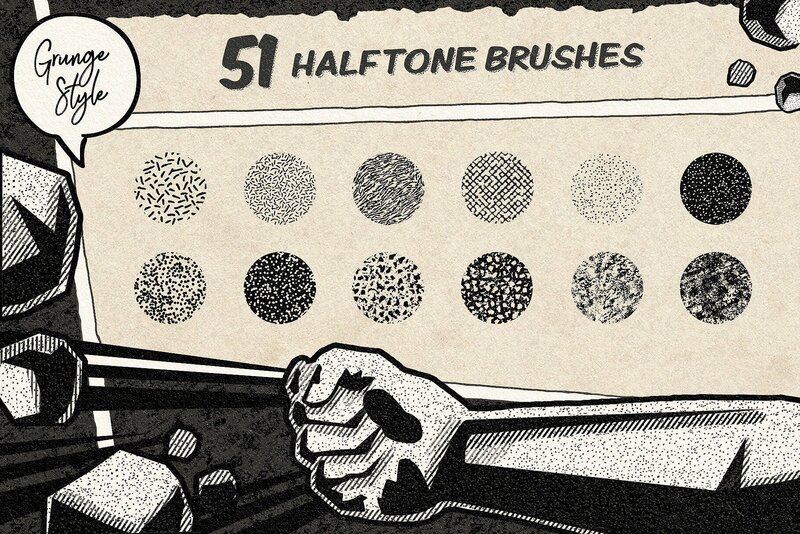 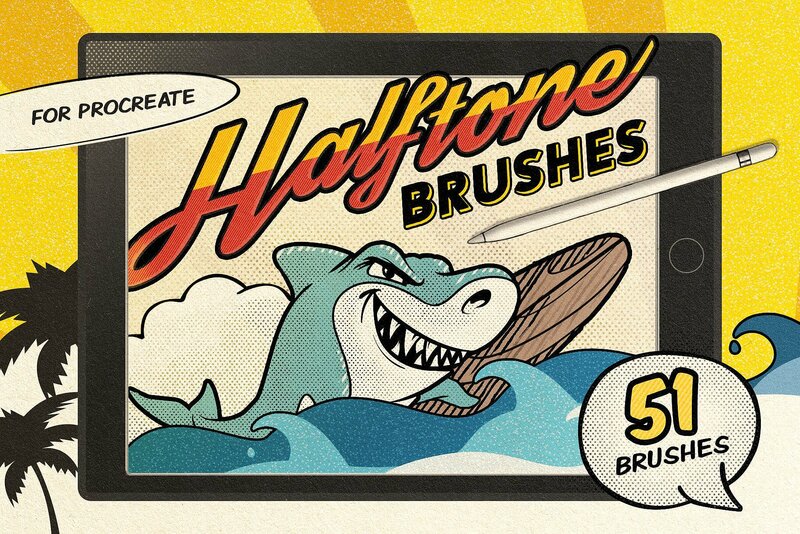 Meet the second part of our comics-inspired halftone brushes perfectly tooled for Procreate app! 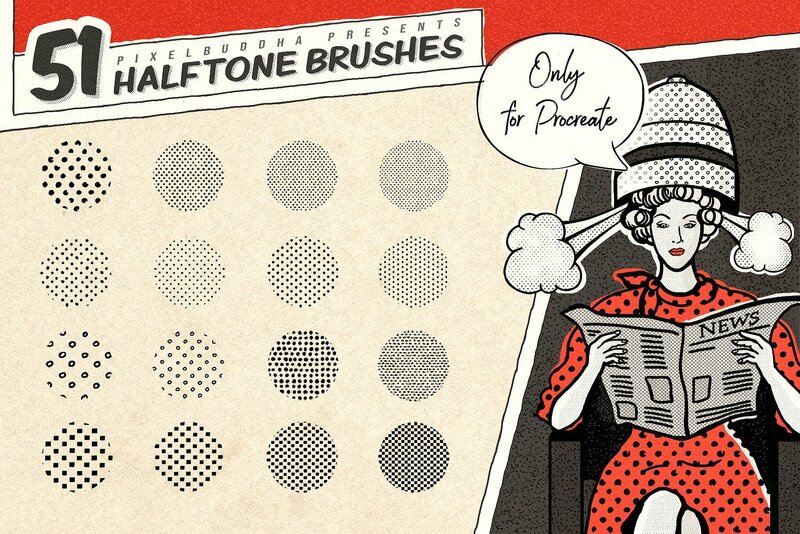 This time we’ve worked on creating the same tool for your vintage compositions, but for Procreate. 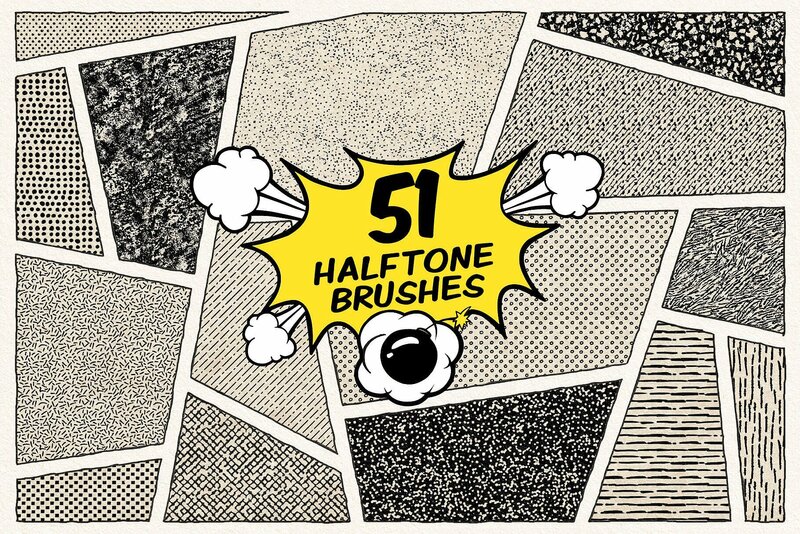 51 brushes, embraced the spirit of retro graphic novels. 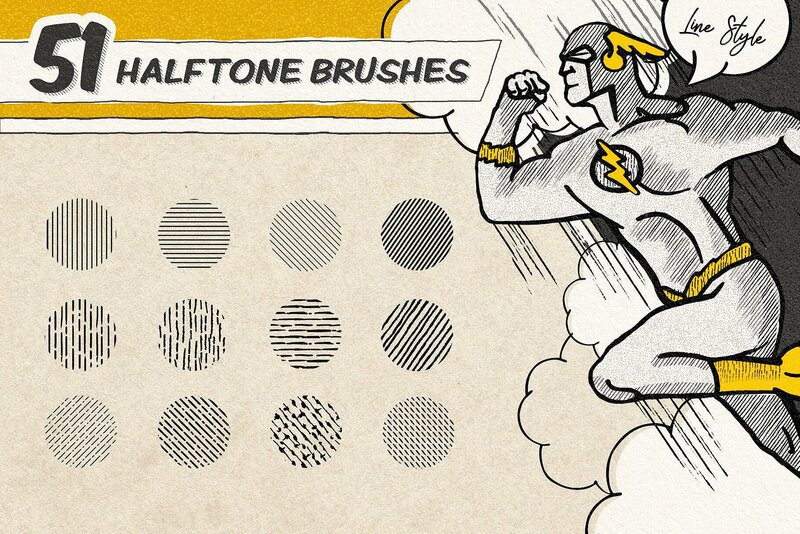 Lines, dots, tiny squares, and inky scratсhes — there are so many various types of brush textures, which you can combine together while looking for the most suitable composition. 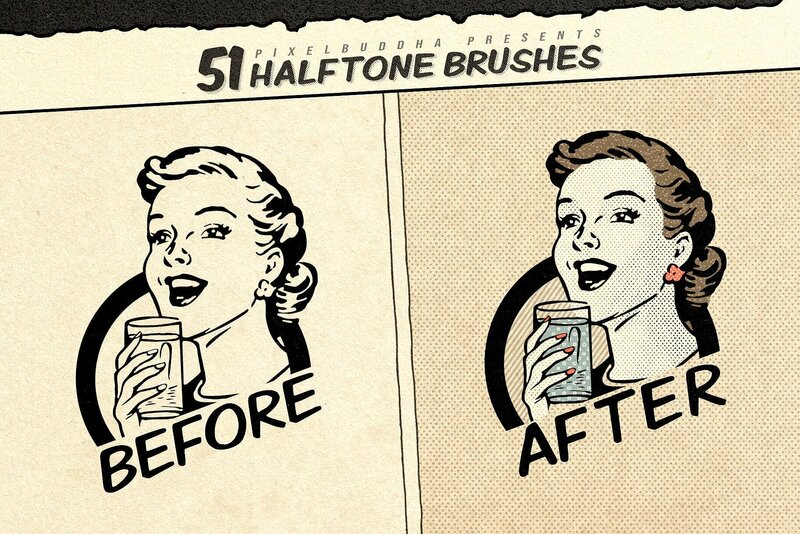 So get armed with your favorite illustrations and upgrade them in a couple of minutes.